Zahran Alloush addresses a Jaish al Islam military parade in the Damascus countryside in April 2015. Zahran Alloush was born in Syria in 1971, his father Abdullah is a respected Salafist religious figure based in Saudi Arabia. Zahran Alloush studied at the University of Medina in Saudi Arabia, but unlike his father, Zahran returned to Syria after completing a Masters Degree in Islamic Studies. In 2009 the Syrian Government arrested Alloush for unclear reasons (either weapon possession or miscellaneous plotting) and held him in prison until mid 2011 when he was released under a general amnesty designed to calm the forces of insurrection. The decision to release Alloush turned out to be another spectacular miscalculation on the part of the Syrian Government and Alloush became the most high-profile militant leader operating in the greater Damascus area where he commanded a force of 10,000 fighters. Jaish al Islam is one of the big four insurgent outfits operating in Syria along with Ahrar ash Sham and the better known al Nusra front and ISIL/Daesh. Ahrar al Sham is a Salafist conglomerate without a well-known leader, the al Nusra leader is a designated terrorist who hides his face and the leader of ISIL/Daesh is in the same category so Zahran Alloush was presented as the “respectable” face of the Salafi jihadist factions that comprise at least 90% of the Syrian insurgency. Zahran Alloush even put on a shirt and jacket and was interviewed by mainstream US journal McClutchy, where he tried to present himself as a moderate and reasonable man. In truth he was a Salafist and his stated goal was to bring Islamic government to Syria, a ridiculous and despicable idea given that a large proportion of the Syrian people are not Muslims and his particular brand of Islam rejects the status of many Muslims also. “Zahran’s calls for cleansing Damascus of all Shiites and Nusayris. (“Nusayris” is the old term that referred to the Alawites prior to the adoption of “Alawite.” It is considered a term of abuse by Alawites. “Nusayri” refers to the founder of the religion, Ibn Nusayr. Alloush’s remarks regarding the Shia and Alawi population of Syiria were reprehensible and counterproductive, but this is the worldview Saudi Arabia backs. This is what the term “takfiri” means, those that are so arrogant as to proclaim that only those who belong to their specific school of thought are Muslims. 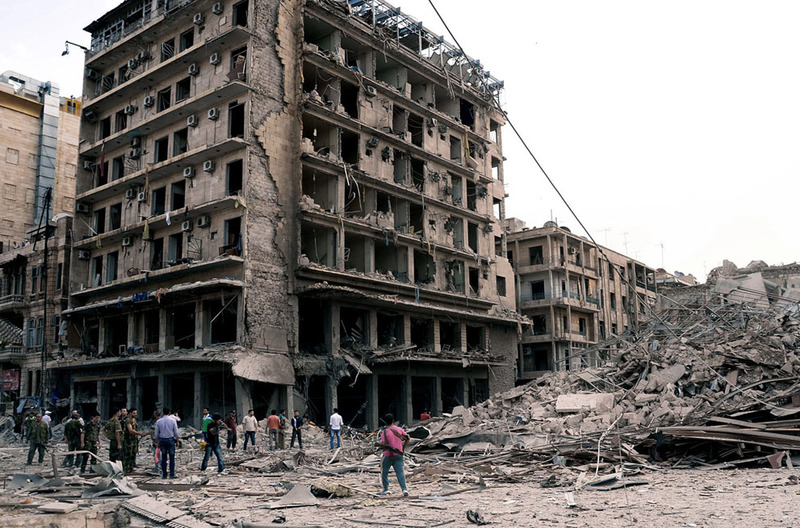 Massive destruction, Jobar East of Damascus is a surreal sight after four years of war. Map of Greater Damascus, Jaish al Islam have controlled a broad swathe to the east of the city for several years. The Insurgency in Greater Damascus. Zahran Alloush was by far the most prominent insurgent in the Greater Damascus area. This area fell into the hands of the insurgents by late 2012, the Marj al Sultan airbase fell in November 2012 and remained under insurgent control until December 2015. The Syria Army failed to dislodge the insurgents from these places despite the use of massive and often indiscriminate air strikes that along with the ground fighting have left the place a desolated ghost town of complete destruction. By mid 2013, heavily armed insurgent groups were well entrenched in Eastern Ghouta, Jobar and Douma, small towns in the area east of Damascus. In August 2013 the Syrian Army was bombarding Eastern Ghouta with heavy artillery when persons unknown conducted the false flag chemical attack, the last mad grab for US led regime change in Syria. The attack does not seem to be connected to Zahran Alloush, with the al Nusra front being the prime suspect behind the mass murder. The claim that the Assad government was responsible is beneath contempt at this point. The Syrian Air Force whether by accident or design, conducted numerous air strikes against public areas in these districts leading to massive civilian casualties and undoubtedly strengthening the position of the insurgents with the people. In January 2015 a series of Syrian Air Force strikes on Eastern Ghouta markets left as many as 160 people dead. In response Zahran Alloush ordered his fighters to shell the Shia and Christian concentrated areas of Damascus, they managed to fire a barrage of between 80 and 120 rockets that left at least ten civilians dead. Alloush tried to claim that his forces had attacked Government and military facilities, they may have hoped to do so but in fact they lacked the weaponry to direct their shells with any accuracy and it was a criminal terror attack that only made Alloush look weak and foolish. The Russian Air Force, like all air forces also kill civilians but the strike against Zahran Alloush and his colleagues is indicative of a massive improvement in the quality of the air operations against the insurgents. The operations are no longer semi-random bombardments but are targeted against military centers based upon intelligence and intense aerial surveillance. The Eastern Ghouta military parade of April 2014. Jaish al islam leader Zahran Alloush surveys his troops. Jaish al Islam military parade, Eastern Ghouta April, 2015. The standout moment of Zahran Alloush’s public life and the only time he received intense Western attention was after the remarkably audacious Jaish al Islam military parade in Eastern Ghouta of April 2015. When I first saw this I could not believe it, It hought it must be filmed in Turkey or some other neighbour of Syria but the Jaish al Islam had the audacity to hold this massive parade,involving 1700 troops, in the middle of the day, close to Damascus out in the open and it was a PR triumph. They were out in the open for at least 40 minutes. ZahranAlloush gave a nine minute speech, it was a very standard speech of a Sunni extremist fighter. The video is here if any care to watch but it is very stock stuff. If they tried to do it today they would all die. Human rights lawyer Razan Zaitouneh, her husband Wa’el Hamada and two colleagues, have been missing since their abduction by unknown armed men in December 2013. Zahran Alloush’s men are the only suspects due to their control of the area the four went missing. In late 2013 a Syrian human rights activist named Razan Zaitouneh disappeared from an area under the control of Alloush’s men, she and her three colleagues have never been heard from again. This lack of chivalry raised its head again this year when Zahran Allloush under the increasing pressure of a campaign from a real air force- that of Russia, thought it would be a good idea to parade a group of kidnapped civilians through Eastern Ghouta in cages. On December 25th a drone watched and waited as leaders of Jaish al Islam (Army of Islam) gathered in their secret base inside their stronghold in the Damascus countryside. The drone observes the arrival of a white sedan, a man leaves the vehicle and is met by a larger group of men. Once the leaders were spotted arriving at the meeting point, the Russian Air force attacked the site with several bombs, flattening all of the buildings in the area and killing Zahran Alloush along with several of his key aides. Russian airstrike follows the confirmation that the leaders of Jaish al Islam have arrived. Apparently unclear on the precise location of the meeting at least three buildings in the area were flattened by air strikes. The people of Syria have been the victims of this war and nothing other than suffering and destruction has been achieved. After three months of intense Russian support, the changes to the Syrian map are very minor. The only area where the Syrian government have made major gains that can be seen on the map is in Aleppo. The South Front map from October 1st, 2015. The Suth Front map from December 30th, 2015. The maps only tell part of the story and the manner as much as the fact of Zahran Alloush’s death makes it clear that the trajectory of the war has completely changed now that the SAA and Hezbollah are backed by a high quality air force. The arrogant powers (the USA, Israel, Saudi Arabia, Turkey, Qatar, France and Britain) will presumably intervene further should Syria and Russia make too much progress. The ideal solution to the crisis would be a political settlement but unless and until the arrogant powers amend their world view, stop believing that they have the right to control every inch of the earth and destroy all who resist, the suffering is going to continue. If the West and their allies maintain their position of arrogance and Russia and Iran maintain their position of opposition to the regime change project in Syria a regional or even a world war is a more likely outcome than a diplomatic solution. 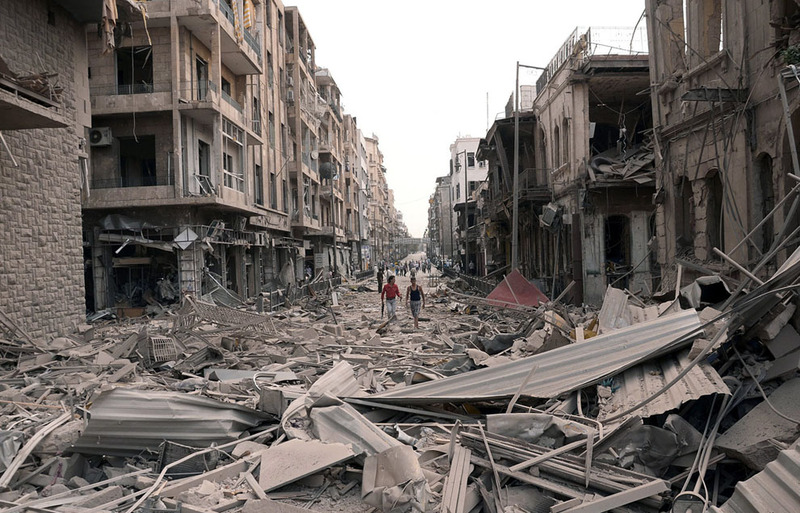 Destruction in Aleppo late 2012. More than 200 Thousand people are dead due to Western arrogance over Syria in 2012. A highly credible source has told the UK Guardian that Russia offered to exile Syrian President Bashar al Assad and end the Syrian War in 2012 when the death toll from the war was less than 10,000 people. The current estimates start at 220,000 deaths. 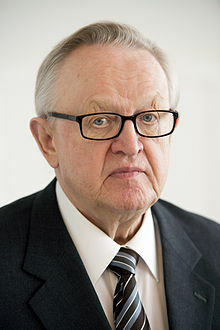 The former Finnish President and UN Official Martti Ahtisaari claims that in February 2012 Russia made an offer to the US to exile Assad and end the war. 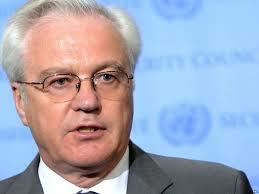 Former President Ahtisaari describes a meeting st the UN with Russia’s permanent representative to the UN Vitaly Churkin. “He said three things: One – we should not give arms to the opposition. Two – we should get a dialogue going between the opposition and Assad straight away. Except he didn’t and it didn’t. Instead hundreds of thousands of people died and millions were displaced. Others claimed that the offer was not concrete as it did not come from Vladimir Putin and was not specific enough. This are valid observations but they only highlight the fact that if the Western leadership was motivated in the slightest by concern for the Syria people they would have sought confirmation that the Russians were serious and could deliver on the specifics of the deal. Instead they simply stood back and watched Syria burn at the hands of al Nusra, ISIL and the others. Now they expect to be patted on the back for taking in a few thousand of the millions their hubris and arrogance and wickedness caused to be displaced. When the West says that it wants to remove the dictator, it lies.What the West actually wants is to destroy “enemy states” using the childish evil dictator narrative to justify their crimes. This is part of the long-term Israeli strategy of fomenting strife among neighboring states in order to protect Israel from any and all rivals in the region described by Oded Yinon in 1982. That’s probably why the West had zero interest in the Russian offer Churkin delivered, to end the war with only 7.500 deaths and the state almost completely intact would not achieve their goal. The next time you are watching the controlled Western media and they try to lament the plight of the refugees, remember that they chose not to even mention the Guardian story. They are the cheerleaders of war and the enemy of the truth and of humanity. 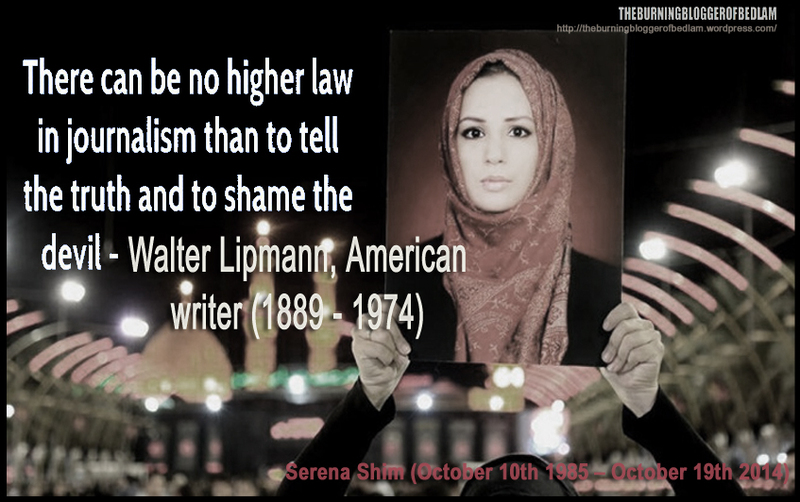 The Western media have a very special recent history of advocating the mass murder of Muslims and Arabs.This is presumably connected to the fact that Zionists own almost the entire major Western media.